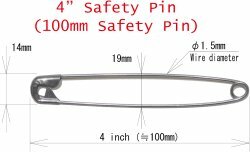 4" safety pin. Approximatery 100mm. 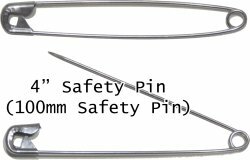 Wire diameter 1.5mm. Please see attached picture. Tip is sharp. Please pay attention it.